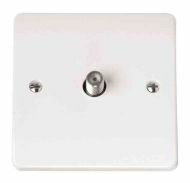 TV aerial accessories including co-ax cable, plugs, sockets, splitters. Pack of 100 black 7mm clips with fixing nails. Just the right size for TV aerial coaxial cable. Pack of 100 7mm white round cable clips with fixing nails. 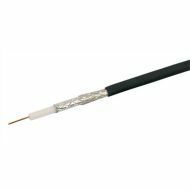 Black RG6 coaxial cable. Suitable for all TV applications : Digital TV and Satellite TV. 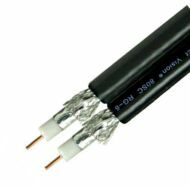 75 Ohm (the normal impedance for TV coax). Sold by the metre, buy as much as you like (up to 100m) and receive it all in one big length. Dual black RG6 shotgun coaxial cable. 75 Ohm (the normal impedance for TV coax). Sold by the metre, buy as much as you like (up to 100m) and receive it all in one big length. 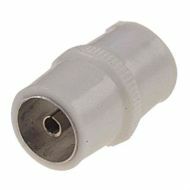 Male F connector, normally used for satellite TV cable connections. 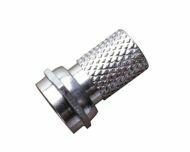 Suits the RG6 coaxial cable we sell. This is the screw on type, so you do not need any special tools to fit it. Back to back F connector coupler. This item has female connections at each end. For joining two male F connectors together, great item for joining a satellite cable. Female in-line coaxial socket for TV aerial lead. 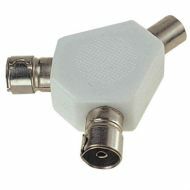 Male coaxial plug for TV aerial lead. 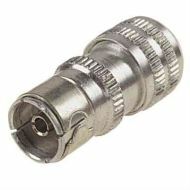 Known as a Belling-Lee or IEC 169-2 connector, these have been around since the early days of television in 1922. 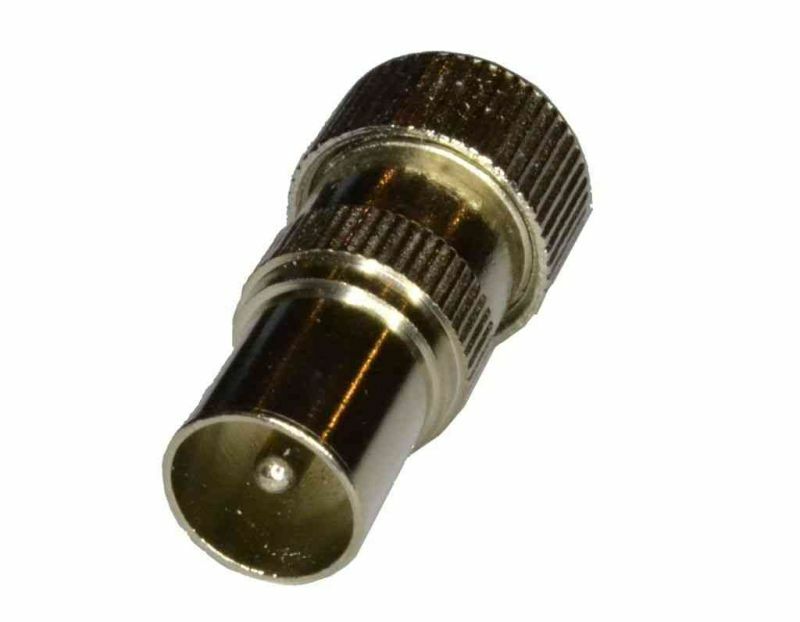 This item has female connections at each end, use it to join two TV male coax connectors together. Ready made 2 metre long TV coax lead with male plug and female socket. Colour may vary from picture. Ready made 2 metre long TV coax lead with male plugs on each end. Suits the connection between the wall socket and your TV. TV outlet with single coax socket. Complete with mounting screws. TV socket with 2 coax connections. Comes complete with mounting screws. 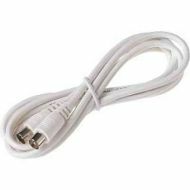 Splits an aerial connection two ways, ideal for running two televisions off one aerial. As the signal is being split, the level of the signal can be reduced (not a problem if you have a good signal to start with). 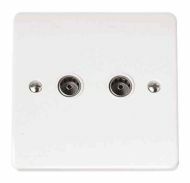 Has one male (inlet) and two female (outlet) connections. Wall socket with one standard TV coaxial socket and one F connector socket. Comes complete with mounting screws. Outlet with single female F connector for your satellite system. Comes complete with mounting screws. U Bolt 1-3/4" Suits Poles up to 1-1/2"
U Bolt 1-3/4 inch - with nuts. 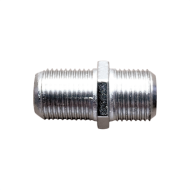 Small V-Bolt 1.75 inch x M8 for mast up to 1.5 inch outside diameter. For your TV aerial mounting pole. U Bolt 2-1/2" Suits Poles Up To 2"
Large V-bolt 2-1/2 inch x 3/8 inch for mast up to 2 inch outside diameter - with nuts. For your TV aerial mounting pole. 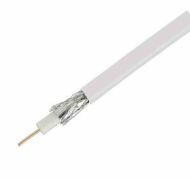 White RG6 coaxial cable. Suitable for all TV applications : Digital TV and satellite TV. 75 Ohm (the normal impedance for TV coax). Sold by the metre, buy as much as you like (up to 100m) and receive it all in one big length.